As part of your course, you'll practise journalism every day, covering your own patch in the city. Every assignment will present a different challenge. You could be on location filming for a documentary. You may be reporting from a courtroom on the details of a criminal prosecution. Another day could find you interviewing a celebrity or a sports star. Your work experience will enable you to build up a portfolio of work and put together a CV. Our many connections in the media industry help to open up a huge range of work experience opportunities. We teach everything: all the relevant law, history, ethics and standards. We'll help you to develop practical skills such as research, communication and interviewing techniques. You'll get to know your chosen profession inside out and build up your own network of like-minded people. This degree is currently accredited by the National Council for the Training of Journalists and the Professional Publishing Association. See the bigger picture by joining the UK's number 1 journalism department. Editors know a Sheffield graduate can make a world-class journalist. Study with us and you'll learn vital practical skills: how to spot big stories and write sparkling copy, video editing, shorthand and advanced social media. Because of our research expertise as an elite Russell Group university, you'll also discover how journalism is part of an epic social narrative about right and wrong, liberty and democracy, war and peace: about the life stories of people, societies and entire continents. We don't just teach you how, we show you why. Join us and you'll be taught by professional journalists with years of experience in TV, radio, newspapers and magazines; and by influential academic researchers with powerful international reputations, who write the textbooks that journalists learn from. 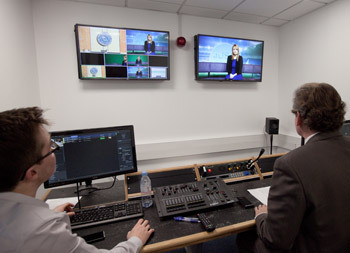 Our BA Journalism Studies is currently accredited by the National Council for the Training of Journalists and the Professional Publishers Association. Our graduates are highly regarded by employers and work right across the media. Many begin on local newspapers and radio as junior reporters and the best move up to national or international level in roles such as editor or digital media editor. Some specialise in social media or video production. Recent graduates are working for the BBC, Daily Mail, The Guardian, Press Association, Oxford University Press, magazines, radio and digital media all over the world. Some go into public relations, teaching and other areas where communication skills are at a premium. 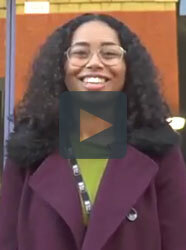 All you need to know about our BA Journalism Studies course. You could spend between three and twelve months studying at one of our European partner universities, or on a work placement overseas through Erasmus.